Sarah-Louise is a woman who practices what she preaches. Sarah-Louise loves the world and is committed to acting responsibly and carefully while inspiring others to do the same. She’s grown up enjoying and appreciating the various conservation areas, advocating with local politicians for environmental protection and going on various canoe trips within Ontario and Quebec river systems. It is no wonder, then, that Sarah-Louise is described by peers as passionate, and is also a savvy individual who is able to use her knowledge and resources to help support other people and environmental initiatives in the Kingston area. She is the Environmental Education Manager of The Tea Room, a sustainable student-run café at Queen’s University, which operates with zero-waste and is also carbon-neutral. In this role, Sarah-Louise is able to bring her environmental ideas into action by directing all sustainability-related aspects of operations and knowledge translation to her student employees. For example, Sarah-Louise has ensured that the Tea Room engages in community education, including local elementary and middle schools to engage with environmental education. As an intersectional feminist scholar, she brought these students a critical perspective regarding the ecosystem within which they live, work, and play as well as environmental impacts and global climate change, current global and local environmental issues, and then the possibilities for change and progress. Sarah-Louise’s path as an environmentalist is currently directed towards academia, where she plans to continue her educational pursuits and achieve a Ph.D. in Environment Studies. In her academic capacity, Sarah-Louise is writing her undergraduate thesis on food systems sustainability, while also producing blog posts on environmental education. She is also a research and project assistant at Sustainable Kingston, a non-profit working on the traditional Haudenosaunee and Anishinaabe territories. In her research role, she has developed a long-term community plan that defines the guiding principles, themes, theme statements, indicators, and goals for City of Kingston with regards to integrated community sustainability planning. This research informed the policy and plan which were presented to the local Minister of Parliament and Ontario Minister of Provincial Parliament in September. 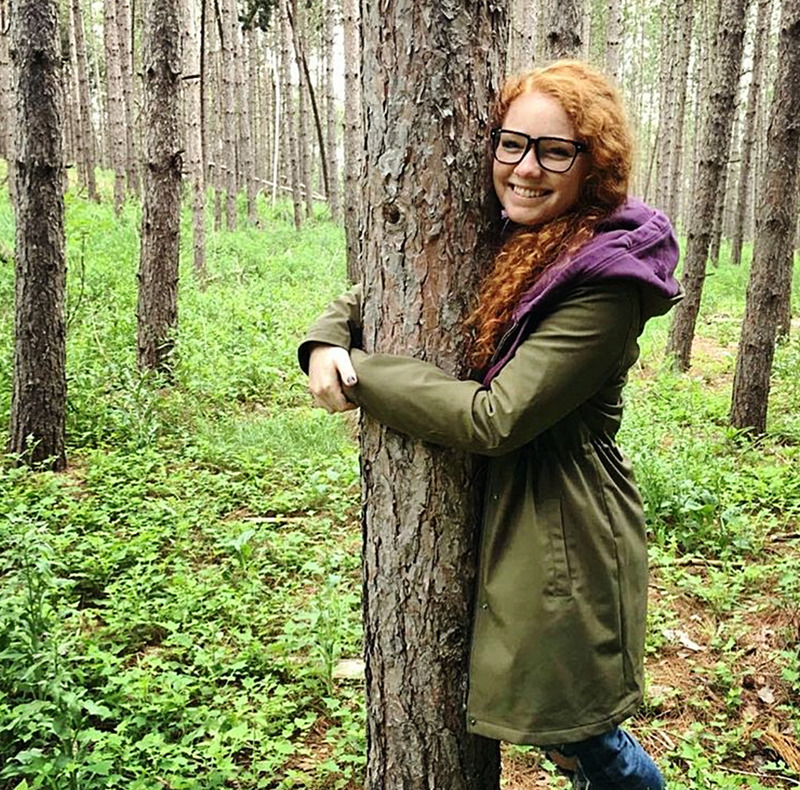 Another example of Sarah-Louise’s contribution to the environmental community outside of the classroom was when she organized a week-long event called “Teas for Trees,” which was aimed at the Queen’s University campus community, in order to increase awareness of carbon neutrality. Throughout her community engagement, it is undeniable that she inspired future environmentalists, demonstrating the ways in which we are all responsible for the world and how humans should operate within this context. In the summer of 2016, Sarah-Louise was awarded the Undergraduate Social Science Research Fellowship, as a part of Canada’s Waste Flow research group. She used this fellowship to implement a research strategy to explore comparative policy analysis in Canadian waste management, with a focus on the differences between policy and practice in Ontario and Nunavut. She’s currently planning a 14-day point-to-point canoe trek in Northern Ontario’s Chiniguchi river system! Congratulations Sarah-Louise! The Tea Room is immensely proud of all the work you have accomplished, both through The Tea Room and your studies. You are an inspiration to the environmentalist in all of us! Well done. Sarah-Louise is well known as an active contributor to the business sustainability community in Kingston, both through her work at the Tea Room and through her volunteering with Sustainable Kingston. Sarah-Louise spearheaded a greenhouse gas emissions reporting and reduction initiative at the Tea Room through Sustainable Kingston's Green Economy program, which positioned the Tea Room as an environmental leader in the local food and hospitality sector.